This ‘Avoid Crackers’ chant has been persistent. Wondered why? Perhaps, it’s time for enlightenment, read along. The Central Pollution Control Board (CPCB) examines noise levels around India at specific locations and has recorded alarming noise levels which involve grave consequences. The safe range of 120 decibels was exceeded and this is a leading factor for mental health disorders and nervous breakdowns. 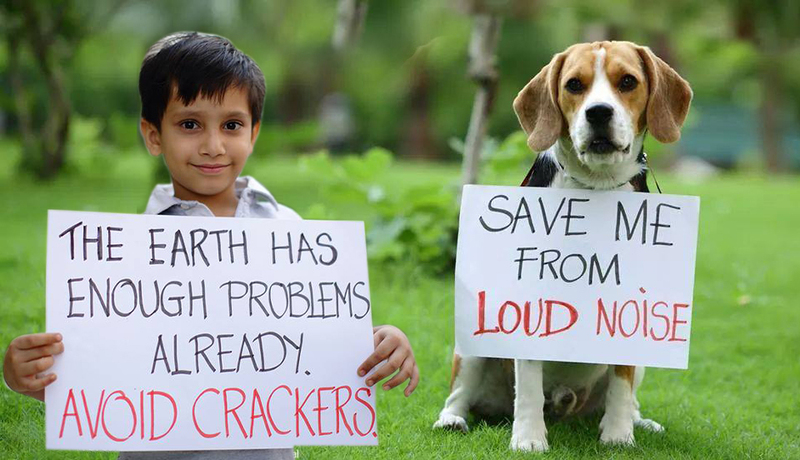 Animals, birds are not only exposed to the toxic gas from the crackers but also become the victim of the loud noises. Pregnant mothers and babies are also deeply affected. Sudden outbursts of sound around infants could even lead to hearing impairment. In adults, noise is noted to enhance the risk of heart issues like arrhythmia and high pulse rates. The disturbed sleep during this time also has adverse effects on blood pressure. 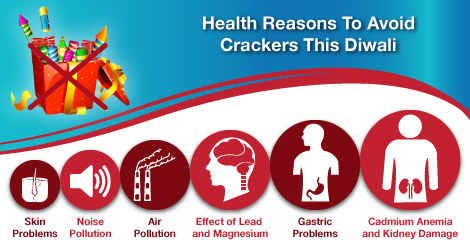 The smoke emanating from crackers acts as an allergen for an asthmatic patient and could bring about an asthmatic attack. It also creates respiratory difficulties including wheezing and coughing. The rare disease like Chemical pneumonia also rises from the cracker’s smoke. Dense smoke in already polluted cities lead to limited vision on roads and thus a spike in accidents is observed. Children and old are the ones strongly affected by this filthy air. According to the United Nations Children’s Fund report, Children raised in India are more likely to develop life-threatening chronic ailments, given the pollution levels. Take the example of Delhi, which produces 8,500 MTD of waste, yet the landfills combined capacity being only 4,600 MTD, has already caused the infamous landslide at the Ghazipur site, claiming two lives. The firecrackers outer casings contribute so much waste that it’s worsening an already grave case. Furthermore, the toxicity in the crackers merging into the soil also leads to soil degradation. Children are forced to toil in firecracker factories, losing health and childhood for mere crackers that offer you a few moments of pleasure. Cadmium anemia and kidney damage: Damaging blood cells, causing them to break down and resting the formation of new ones. This also decreases the acceptance of Iron into red blood cells causing anemia. Accidental inhaling of cadmium leads to kidney toxicity which is irreversible. Lead and Magnesium: Lead distructs nervous system functions and expose the child to paralysis or even coma. Magnesiums can cause metal fume fever. Skin Problems: The very acidic and alkaline properties of chemicals in the crackers damage skin. Sodium contained in crackers has the attribute of reacting quickly with moisture and eventually harms the skin. 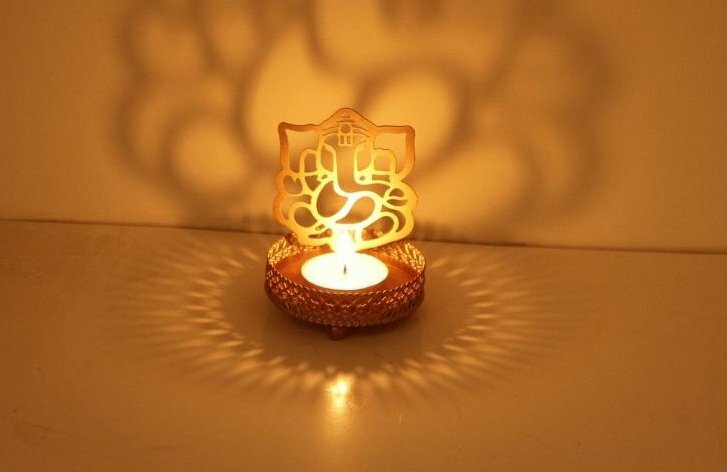 As a festival of lights, Diwali has its origin from Sanskrit as a “rows of lighted lamps”. It’s to cherish the triumph of “light over darkness, good over evil and knowledge over ignorance”. 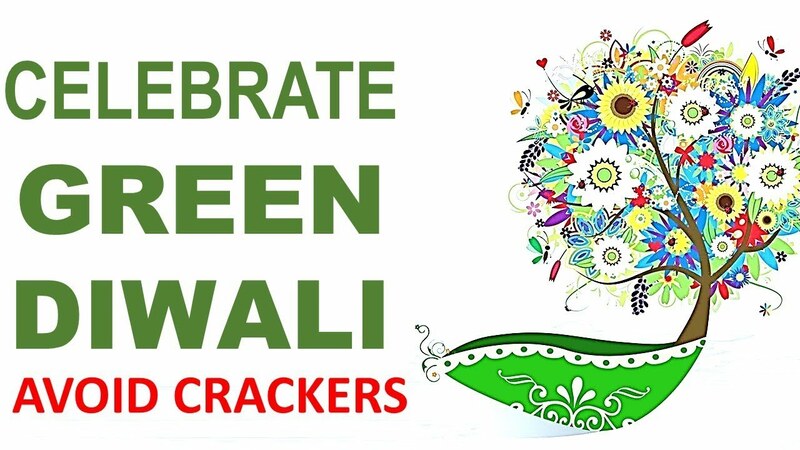 So, since its inception, it has always been a festival marked with lighting colored lamps, not with noisy crackers. The gunpowder utilized in making crackers was a Chinese invention. Indeed, so distanced from our actual culture these crackers are. Sivakasi (Tamil Nadu), a famous firecracker industry, has witnessed fire in its godown frequently, taking the lives of many, including the children working there. Illegal fireworks finding their way into the market can cause potentially lethal injuries at times. Accidental fire rate at homes spikes during this period because of mistaken handling, or damaged products. Shops selling crackers have also been a victim of fire very often. This makes it clear that crackers are bound to cause injuries and take lives, as they are nothing but a fused fire of dangerous chemicals, we so smugly packed together giving a fancy title of ‘Cracker’ and foolishly ended up using them upon ourselves. It’s time we realise with sensibilty the need for reason and abandon this fool play with the harmful crackers. Lokaa Developer is inspired by the excellence of the elements of nature. 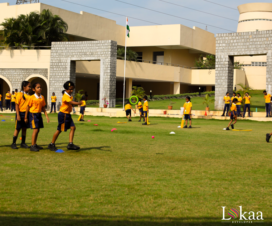 Our aim is to create architectural masterpieces across India. With 5+ years of experience in the Real Estate industry, We are here to change the game of Real Estate in Chennai! 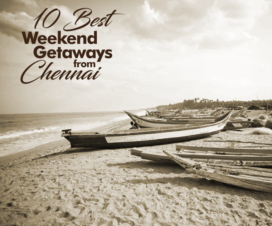 Looking For Right Property To Buy In Chennai? Finding the perfect home is not easy, But we have the perfect solution! If you have a query, feel free to share it here. We'll get back to you with an answer! 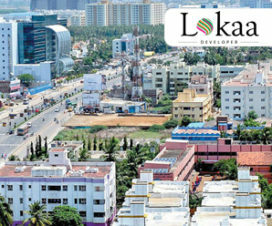 Is this the right time to buy apartments in Kolathur? 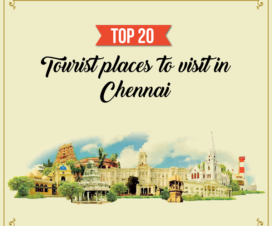 Real estate Blog page: 2,3 bhk apartment in Chennai | Luxury Flats in Chennai Copyright © 2019.